Akamai, Microsoft and Salesforce.com veteran to help drive the next phase of growth and market expansion. We believe Sidharth's valuable experience in building global teams, expanding markets and growing revenues make him an ideal choice to further accelerate our growth at Freshworks.” - Girish Mathrubootham, Founder and CEO Freshworks. Malik brings over 22 years of global experience in the IT industry to Freshworks, having served in sales leadership and general management roles at Microsoft, IBM, Salesforce and most recently Akamai Technologies. Malik joins Freshworks after a successful career at Akamai Technologies over the last five years, where he served as the Managing Director, overseeing all operations of the company in India. Under his leadership, Akamai’s India operations grew from 700 to 2000+ employees, and the India center of excellence served a variety of global customers from India. Prior to his role at Akamai, Malik was leading the Platform Business for Microsoft in India. 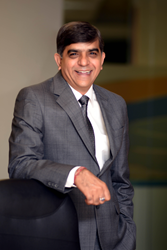 His previous roles included serving as the Managing Director for South Asia at Telelogic AB, Country Manager with IBM Rational India and Area Vice-President at Salesforce.com. Freshworks Inc. is the parent company behind the suite of products which includes Freshdesk, Freshservice, Freshsales, and Freshcaller. The company’s suite of products is designed to work tightly together to increase collaboration and help teams better connect and communicate with their customers and co-workers. Founded in October 2010, Freshworks Inc. is backed by Accel, Tiger Global Management, CapitalG, and Sequoia Capital India. Freshworks has its HQ in San Bruno, California, and global offices in India, UK, Australia, and Germany. The company's cloud-based suite of SaaS products is widely used by over 100,000 customers around the world including Honda, Bridgestone, Hugo Boss, University of Pennsylvania, Toshiba and Cisco.